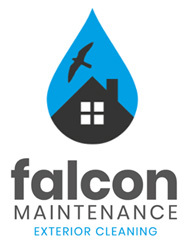 At Falcon Windows we offer a full home improvement service in Ipswich and Suffolk - a level of service, very much appreciated by many of our customers. We can do this as a result of being in the trade for over 30 years: over this time we have amassed many professional contractors, offering services such as plastering in Ipswich and Woodbridge and electrical work in Ipswich and Felixstowe all at extremely competitive rates. Our Ipswich-based plasterers offer a quick, efficient service and have extensive experience in plastering many conservatories in Ipswich and the Suffolk villages. This is all part of the Falcon Windows service which results in so happy customers - why not find out what our customers have to say here. Have you got broken window hinges? We replace most window hinges for timber, aluminium or PVC-u windows, doors and conservatories. Have you insecure window handles? We stock a wide range of key locking window handles for timber,aluminium or PVC-u windows, doors and conservatories. Is your patio door stiff to slide? We stock replacement wheels for most sliding patio doors. We can offer a same day service subject to being called before 12 noon. Have you lost your door key? We stock replacement euro-cylinder and union (oval) cylinders which are fitted to most double glazed doors. Have you a broken letter box? We carry four sizes of letter box in up to four colours for PVC-u residential entrance doors. For long-life maintenance, all that's needed is an occasional wipe over with a damp/soaky cloth and a PVC-u cleaner (from most superstores) to keep your windows looking like new. Remember to add a drop of oil or grease to all handles and hinges now and again and your windows will stay in good working order year in year out. It is very important to keep sliding door tracks clean of grit and dirt thus ensuring continued ease of operation. If an optional night ventilator is put in, the apertures can be very easily cleaned with the help of a soft bristle brush. An occasional light spray of WD40 to the door hinges should basically be all that is needed to ensure continued smooth use, but in certain cases a dash of light machine oil can prove a lot more effective. Also a spray of WD40 direct into the lock cylinder will again ensure easy use of the key. Never attempt to clean glass in direct sunlight, otherwise the glass will dry before you are able to buff. To avoid smears and ideally for best results you should really use a damp leather and also a clean dry cloth. If you do come up against a hard smear, then putting a drop or two of vinegar or methlyated spirits into the water can also help. If the black sealing strip appears to stick slightlyto the frame whilst opening a door or window, then try dusting it very gently with talc without adversely affecting the sealing powder. Condensation occurs when water vapour comes into contact with a cold surface such as glass and the vapour turns to water droplets. Condensation can only ever be minimised and never completely eradicated. Newly constructed conservatories need an initial "drying out" period. Many hundreds of litres of water are used during its construction, i.e. dwarf walls, concrete bases and plasterwork. In wintertime, these will take longer to dry out. Whilst it is a general fact that changing your lifestyle dramatically may help, you cannot always eradicate condensation. There are always steps that can be taken to reduce the severity of this problem. Condensation occurs as a result of moisture being carried in the air and coming into contact with a temperature source that is at variance with the vapour. Most of the moisture coming from within the home originates from within the bedroom, bathroom, living room and kitchen. In order to provide ventilation and thus lower the risk of condensation, always open as many windows as possible, especially on washing day! It should be remembered of course that cold rooms give rise to condensation a lot faster than warmer rooms. It is imperative in this case that a near constant temperature level should be maintained wherever possible. Keeping the internal doors closed will substantially restrict the circulation of water vapour inside the home. Obviously during the colder parts of the year, this will involve a degree of heat loss. A cooker hood or extractor fan can definitely help minimise the rise of moisture-laden air in the kitchen. There are a number of less known sources of moisture that you may not have thought about. Were you aware that a gas heater can produce up to a pint of water vapour per 60 minutes? A paraffin heater creates in excess of one pint of water vapour per pint of paraffin burned? Tropical fish tanks also produce water vapour faster than you probably realise - at a very alarming rate! - and houseplants can also contribute to the issue quite excessively. It is perhaps quite surprising that two adults in an average-sized bedroom will produce more than a pint of water vapour in a night. Be sure to consider security when leaving open an easily accessible window or roof vent. Heating can also assist with controlling condensation and should be marginally increased in any areas where condensation is a problem. Maintain some heat in the conservatory during cold weather and if possible, place heating appliances under windows to maintain the temperature of the inside pane of the double-glazing. Dropped or stuck doors in Ipswich, Stowmarket, Felixstowe, or Suffolk. If you have a door which is proving a problem, we can easily remedy it. If not installed correctly, UPVC doorshave a habit of not closing properly - you may see daylight at the top or the bottom of the sash, meaning that the door is not closing properly and is letting in drafts. Another problem arises when the dropped door causes the cams, latch and bolts of the locking mechanism to be out of alignment with the keeps on the frame. The first symptom of this is that the door is harder to lock and you end up having to force the handle up in order to turn the key, therefore putting a lot of stress on it. Eventually the mechanism breaks and the entire mechanism needs replacing. In almost every case this can be simply remedied by us realigning the door. It is a straightforward procedure that generally involves re-packing around the glass or panel and slight adjustment of the hinges. If your door has these symptoms, try opening the door and then lifting the handle and turning the key. If it locks easily, then it probably just needs the door re-aligning. Give us a call on (01473) 288690 and will arrange a convenient time to call out and have a look for you free of charge. In cases where the door has gone altogether and the door is stuck in the locked position, we can offer a full lock service and can get the door open and the locks replaced. If the door is locked and there is no key available, then the barrel will have to be replaced. All parts supplied by us come with a full guarantee. The main reason a window hinge or friction stay needs replacing is when the black or grey friction block on the window hinge breaks in two. When you close your window, the sash does not pull in at the top or down the side of the frame. A rivet may have broken from the window hinge leaving the window unable to be closed. With larger windows the hinges can bend and buckle when you try to close the window, leaving the window impossible to close. Please note that although your window hinges seem to work properly, if you are feeling draughts through the window when it is in the closed position, then it is almost certainly the window hinges that are worn or broken. A good test is to use a credit card, if the card can slide easily between the opening vent and the rubber gasket on the outer frame, then the window hinges are almost certainly worn. This is usually because the wheels underneath the door have rusted or broken apart. We carry most types of wheels on the van and this problem can usually be solved on the same day. We offer a range of services designed to make your conservatory look and function as good as it did on the day it was installed. Conservatory repaint and re-staining of wooden conservatories. Replacing thin 16mm polycarbonate roof panels with either 25mm or 35mm polycarbonate will hold in more heat in the cooler months and make for a cooler conservatory in the summer. Why not take advantage of our no obligation, FREE inspection? We offer a FREE inspection and quote in Suffolk, so please do not leave your leaks until they get too bad and potentially cause more damage. Conservatory roofs can become very dirty over time. They can be very difficult to clean for the average householder. With our specialist access equipment and cleaning materials, we can bring your conservatory back to life. We can offer anything from a basic roof wash to a full valet and polishing service. Inside or out, you will be amazed at the results. We've listed here all the repairs that we carry out on all types of PVC aluminium and wooden Windows in Suffolk - how can we help you? 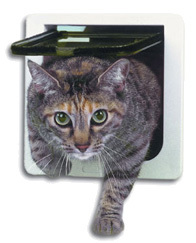 We offer a professional cat flap installation service in and around Ipswich, Felixstowe, Hadleigh and Stowmarket. As Ipswich cat flap installers, we strive to ensure we take on average 4-5 working days to manufacture the toughened double glazed units that we install. We are able to fit cat flaps into most type of glass, whether it's single glazing, double glazing, laminated toughened glass or just a wooden ply panel, it's no problem for us! We can provide a basic white or brown 4-way locking cat flap with our installations on request. Alternatively, if you require a micro-chip or magnetic cat flap, you can source the cat flap yourself or we can provide one for you, whichever is easier for you. We will visit your property and measure the glass or sealed unit for manufacture. We will order the glass which takes around 5-6 working days. Once manufactured, we will call to arrange its replacement. Call one of our friendly telephone advisers for a free, no-obligation quote and will be only too pleased to quote for your requirements. We provide all of our customers with a 100% free no obligation emailed quotation. We offer a very competitive rate at replacing patio doors in Suffolk. We pride ourselves on giving our customers the best value for money. When times are hard, we try to offer all our customers the most competitive deal around. We source competitive rates on all our sealed units and PVC products and pass these onto our clients. If a repair is required on your patio doors, we offer a replacement patio door wheel service where we replace the faulty wheels that can sometimes slip off the runner. This is a straightforward job and normally only takes between 1 -1/2 hours again at a minimal cost, called for your free quotation. Falcon Windows Ltd Ipswich are long-established home improvement & double glazing specialists, installing, replacing & repairing quality uPVC & aluminium windows, doors, conservatories, roof lanterns, conservatory warm roofs, fascia, guttering & roofline products, car ports & polycarbonate shelters with first class personal service across Suffolk & north Essex.